Traffic attorney, Mr. Ticket, now boasts a 93% success rate in assisting drivers fighting their traffic charges. The right traffic attorney can have a huge impact on the outcome of a case in court. Drivers who are facing charges might want to find legal counsel with direct experience in traffic-related offenses for the best results. Amir Soleimanian, renowned traffic attorney, is now proud to disclose a 93% success rate when it comes to fighting driving-related offenses. Facing legal charges can be a bit scary for those who try to go it alone. When hiring an attorney, an individual wants to feel represented properly in order to get a better outcome for a case. That is why it is important to choose a lawyer with the specific experience. Those who are facing serious charges may want to find a criminal traffic attorney, while those who are going to court for speed exhibition might do better to choose a lawyer with experience in defending clients for street racing. Drivers who are facing charges such as reckless driving may want more than just a misdemeanor attorney, but someone who has years of successfully representing clients both in the court and with the DMV. We hold an impressive 93% success rate for defending clients with traffic offenses. In the words of Mr. Soleimanian, this success is because “We have the level of expertise that only comes from more than ten years of experience, and we know exactly what to do to help get your tickets resolved in the most effective manner.” This knowledgeable and efficient service obviously works, as one can see by the high rate of success held by this firm. 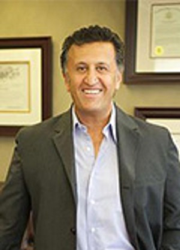 Amir Soleimanian is founder and head attorney for Mr. Ticket, a law firm that specializes in traffic-related cases. From simple traffic infractions to felony driving matters, Mr. Ticket has the experience that drivers can trust for red light camera tickets, hit and run, DUI, and more. If a driver fails to appear for a court hearing, rather than choose a general warrants lawyer, the driver might do best to choose someone who specializes in these matters.